What’s your favorite restaurant? Whenever we travel, we try to find the best restaurant and go there – and then it becomes our favorite in that city. But, we also have a “home” favorite – the restaurant in our town that is our special occasion place. It is a cute little French bistro called Blue Talon. Not only does the Blue Talon have fabulous food, classic cocktails, and 1/2 price wine night on Tuesdays, but it also posts some of it’s recipes online. YAY! 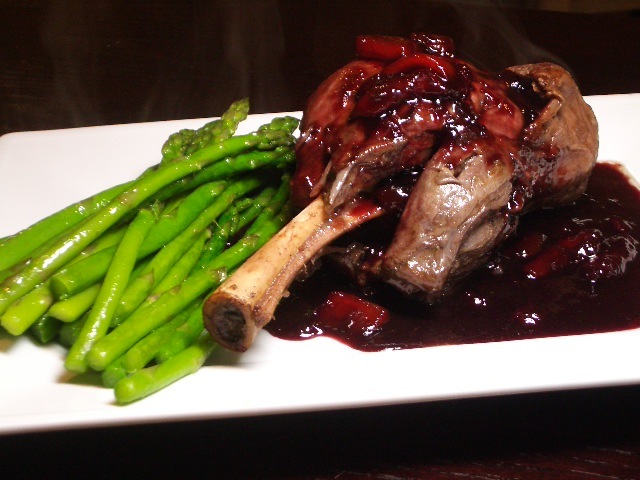 So, we’ve tried to recreate one of our favorite dishes – Braised Lamb Shanks that are cooked for hours so that the meat is falling off of the bone – deeeeelicious!